“Play” is simply anything you do purely for enjoyment and not for any practical or serious purpose. The kinds of people we traditionally think of who play for a living are the professional athletes who play the field, talented musicians who play some instrument, and performers who play the part on stage. However, someone whom we often don’t associate with “play” is the artist. What do you consider play? Your idea of play is likely different from mine. However, discovering (or rather acknowledging) your play can be tricky especially if you’ve gone so far into the system of preparation that you’ve forgotten what “play” means to you. What kinds of play did you do as a child? My answer: From middle school to college, I was always tinkering. First by dissecting my toys, electronics, and then computers. Once, in 5th grade, I made a motorized bug-like contraption out of broken toys and a computer motherboard. What do you find yourself doing in your free time? My answer: Often when I have free time, I read a book or watch informative YouTube videos. What do you wish you had more time/money to do? My answer: If I had a sudden lump of cash, I’d use it as startup capital for an e-commerce business. Take a moment and answer these questions for yourself. These are the things that bring (or you think will bring) a sense of satisfaction, or pleasure even when nobody is paying you to do them. However, these are not all necessarily play! The dangers of living with such a delusion are many. Besides the fact that you are intentionally depriving yourself of much of what this life has to offer, stress, anxiety, and a general numbness to reality (also known as becoming boring) can be expected. The true play never expires or gets old. It does not drain you; it energizes you. I call these the 3 M’s. Put simply: Someone has to find your play valuable. 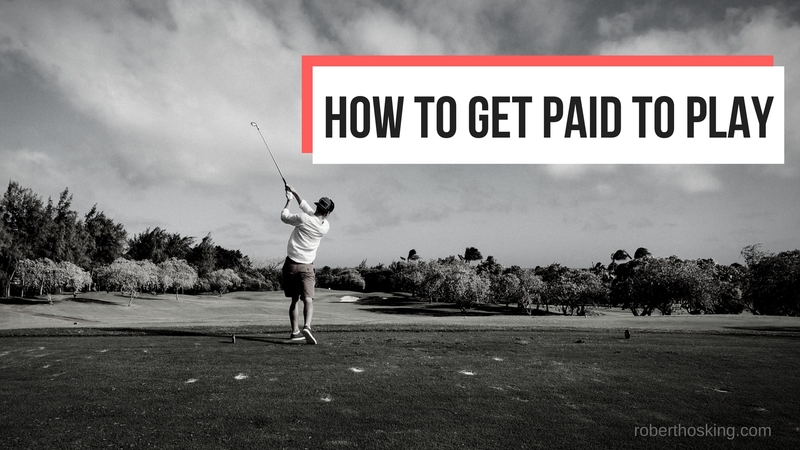 Your ability to craft value from your play is the single most important step to getting paid. If you are an artist, your value may come from the art you produce. If you are not an artist, try to think about yourself as an artist anyway. What is your art? What specifically, are people willing to pay for? Is it the product of your play or is it something more personal or abstract? People will pay for value. Find the areas of your play that produce value for others or find ways to shape your play so that it creates value. Put simply: You have to be good at your play. I may love to draw, but if my drawings are stick figures, then I may need to reconsider where the value is in my play. I could be like the highly successful XKCD who uses stick figures in a web comic. The point is this: you create more merit by being more skilled at your play. Start playing now and don’t stop. Build your skill through deliberate practice. Put simply: Know who thinks your play is valuable and make sure they know about you. Today, marketing is less about getting yourself out there and more about cutting through the noise. Anybody and everybody can start marketing on social media. The idea is to build an audience of people who regularly tune in to what you have to provide. Social media is a great beginner’s channel to reach your new audience. Find your play. Discover where the value lies. Maximize that value by developing your skill. Find and interact with the people who find your play valuable and make sure they know you are open for business. Again, these are general steps that apply to any kind of playful pursuit. There are infinite ways to play this game we call “life”. What is the best use of your turn? Great post. found it really useful.